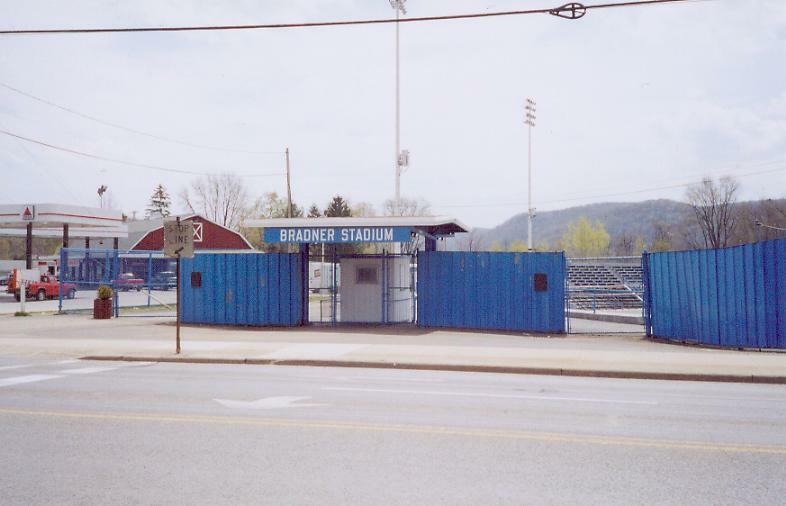 Bradner Stadium, Olean, New York. 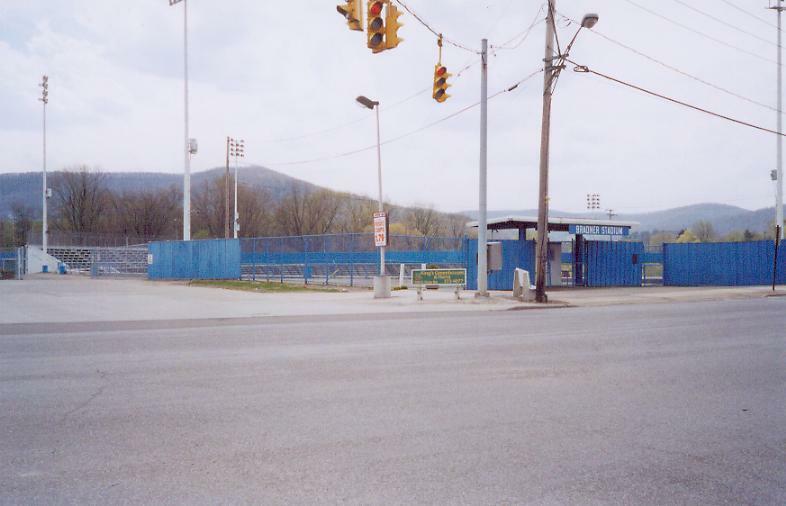 Former home of Olean teams in the Class D PONY League. 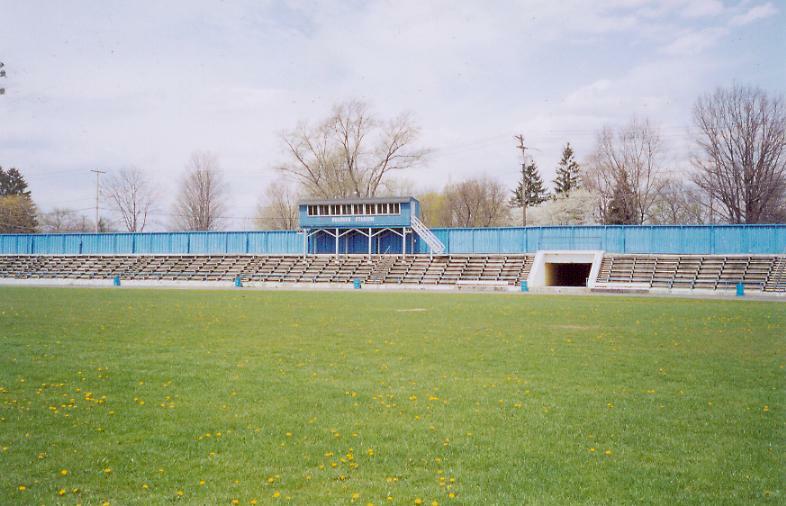 Stadium built in 1926. 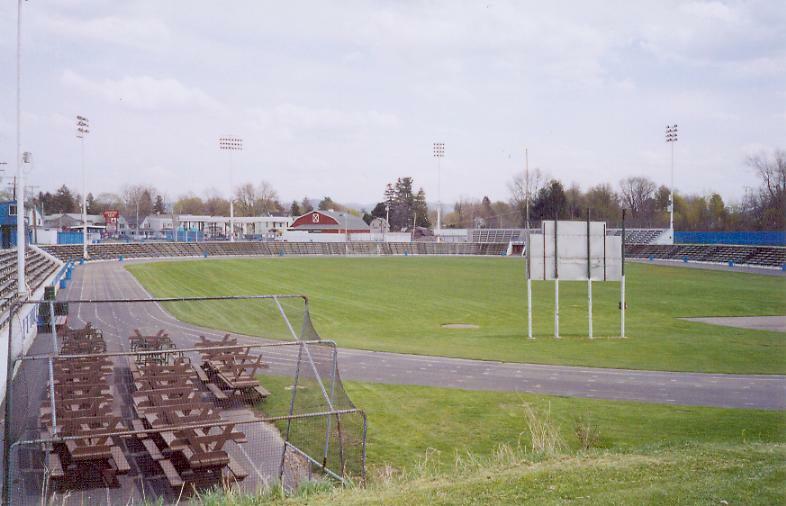 Olean was a charter member of the league in 1939, and fielded teams through the 1962 season. Orginally named the Oilers, also named the Yankees, Giants, A's and Red Sox. 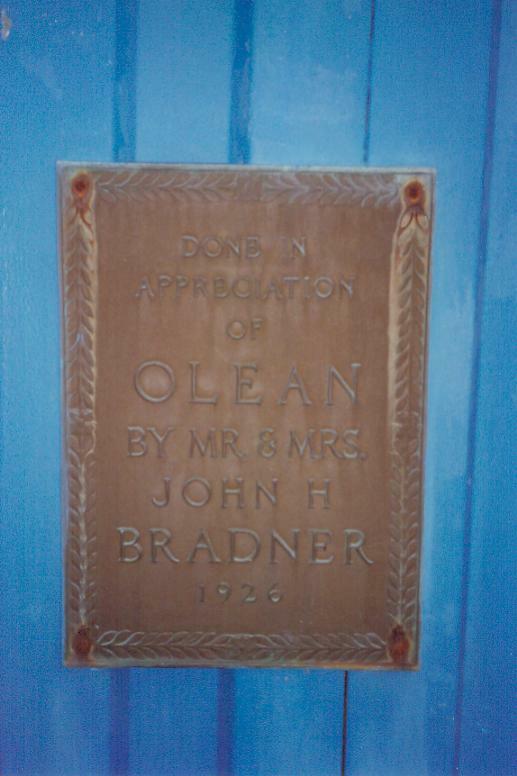 Identical plaques are mounted on each side of the main gate facade. 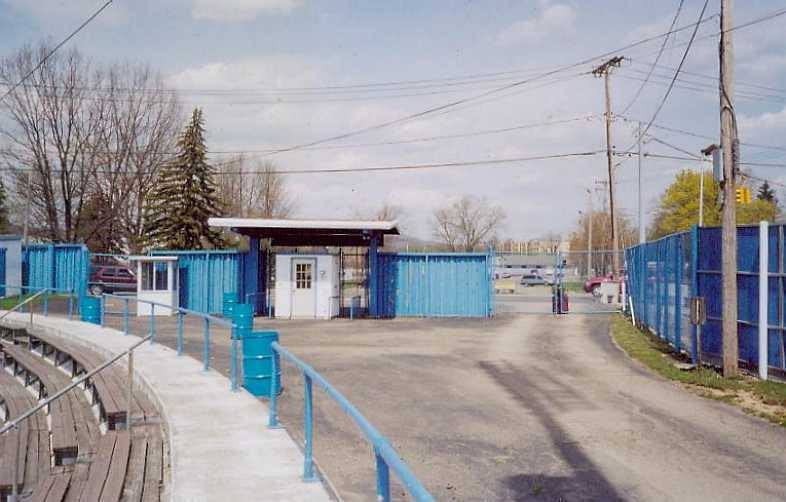 Another view of the main gate. 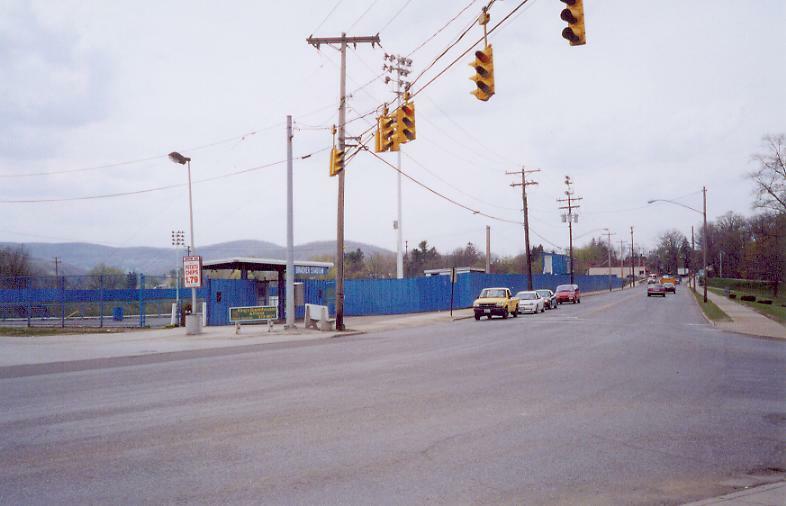 The stadium borders on East State Street. 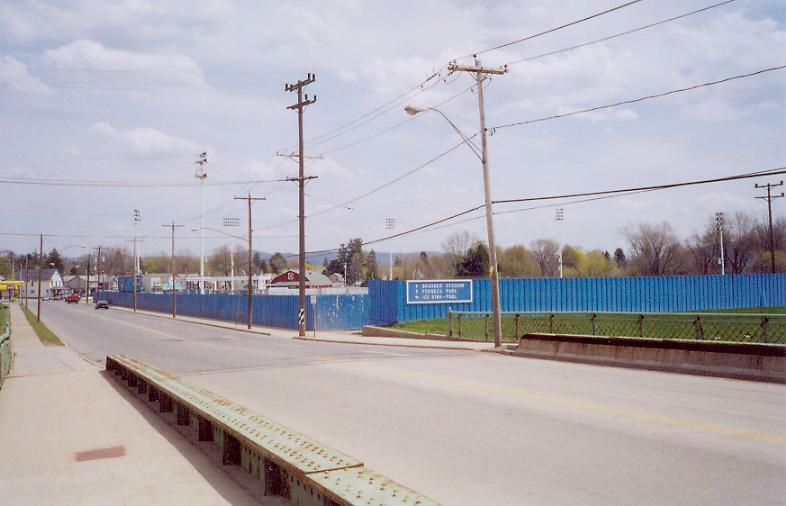 Another view from East State Street. 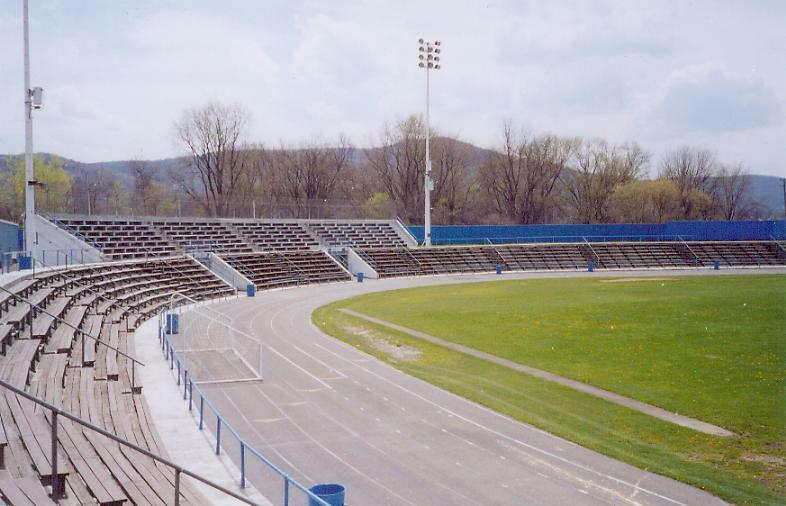 Inside the main gate - the northeast corner of the bowl. 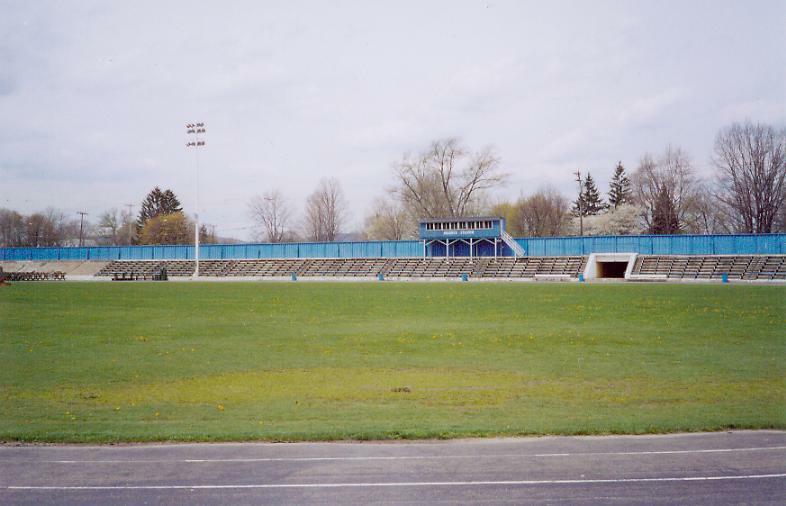 The baseball diamond and seating was in the southeast corner of the bowl. 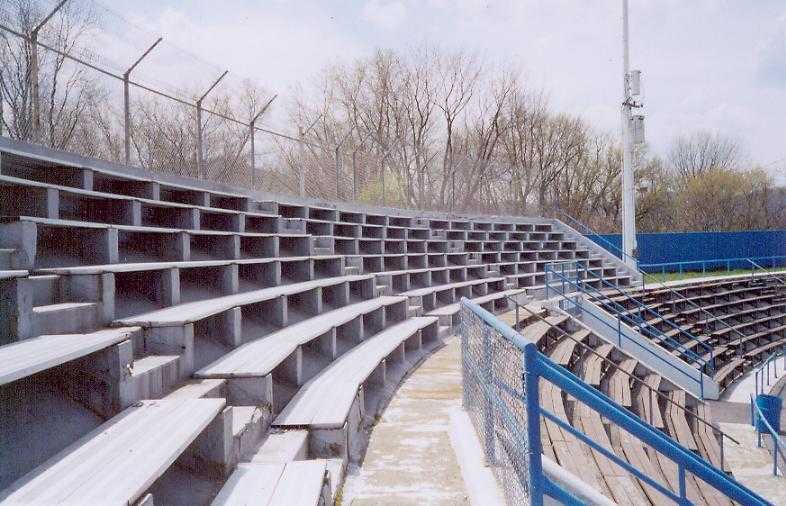 Upper section bleacher seats are aluminum. 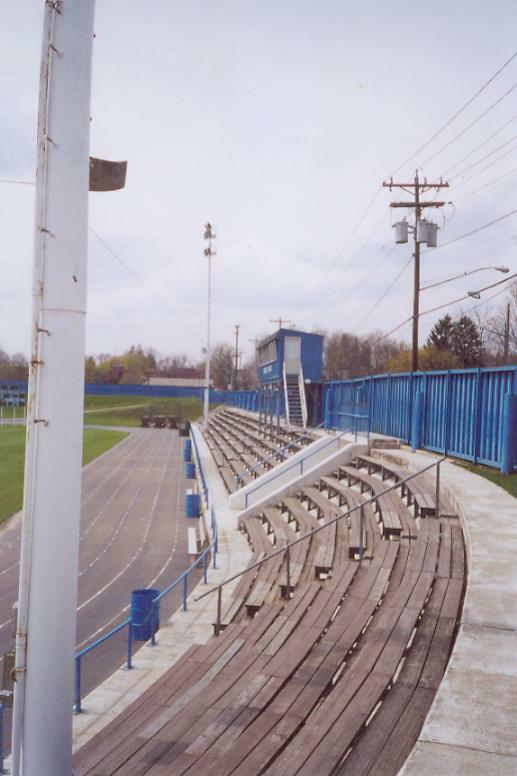 Lower section bleacher seats are wood, and are the same throughout the bowl. 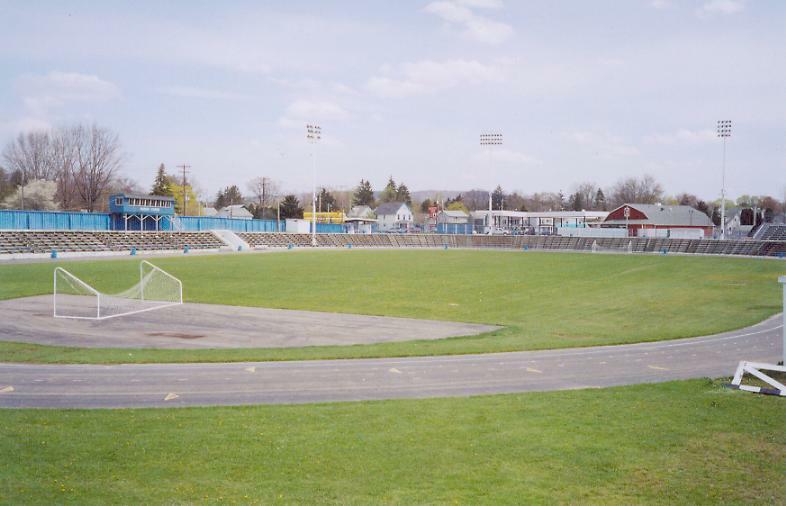 Home plate was located where the lighter green grass is in the lower center of the photo. 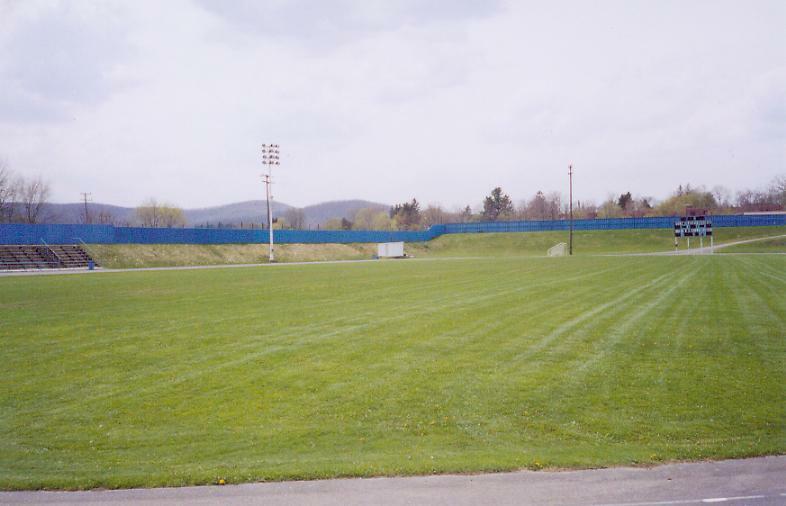 Looking in from center field. 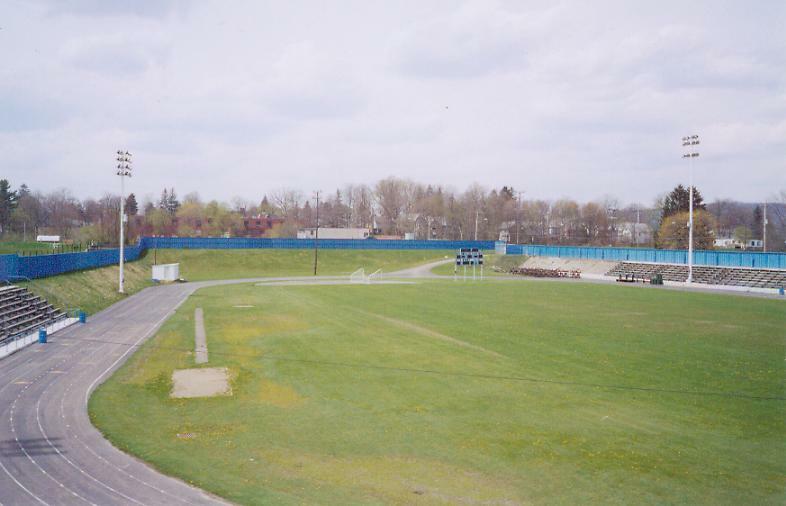 Northeast corner to southwest corner of the bowl. Southeast corner to northwest corner of the bowl. Southwest corner to northeast corner of the bowl. 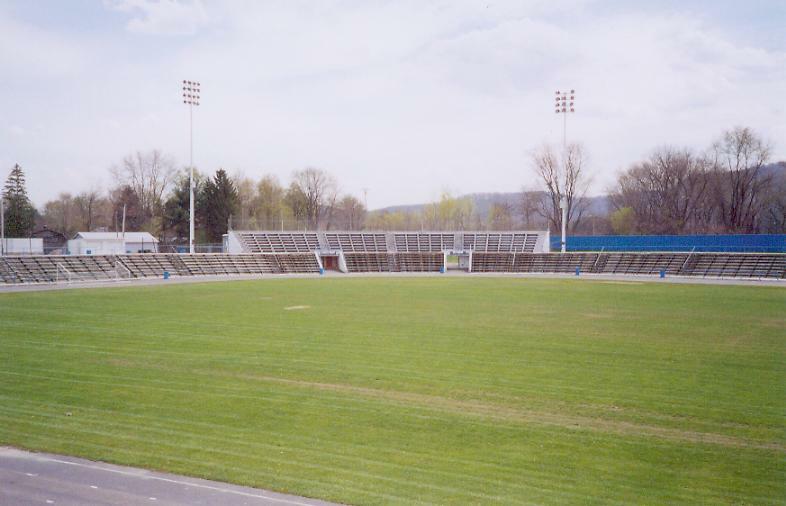 Northwest corner to southeast corner of the bowl. 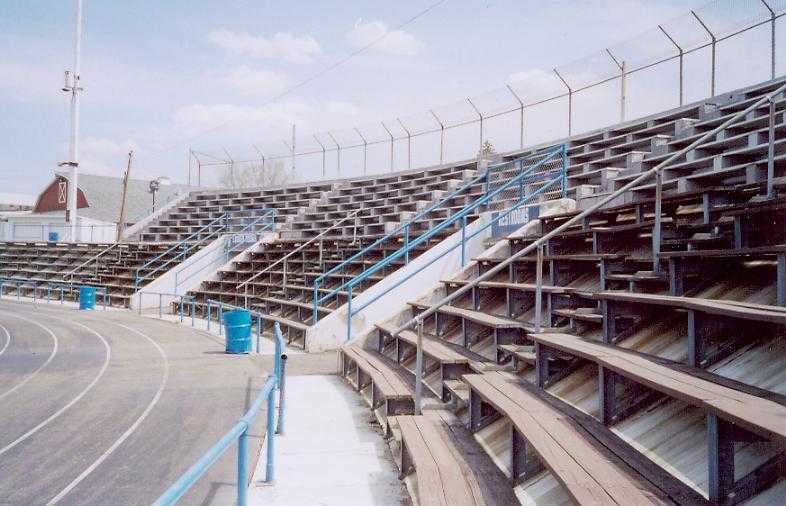 East State Street (north) side bleacher seating. 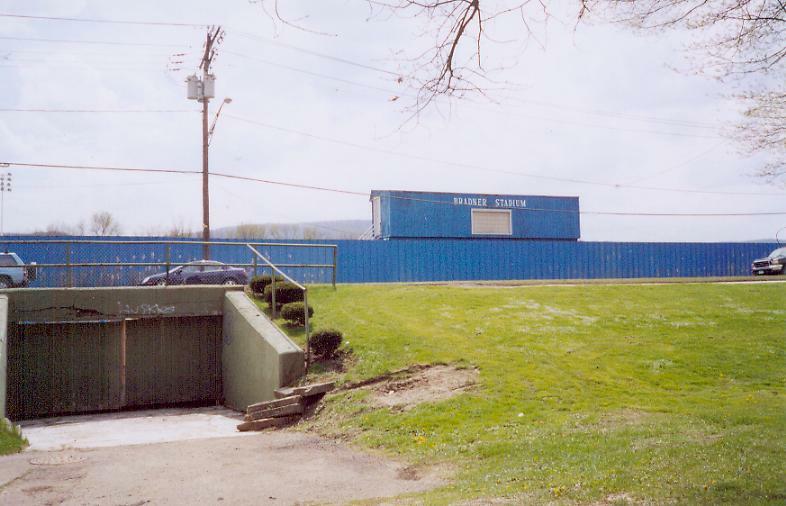 The tunnel to the right of the pressbox. 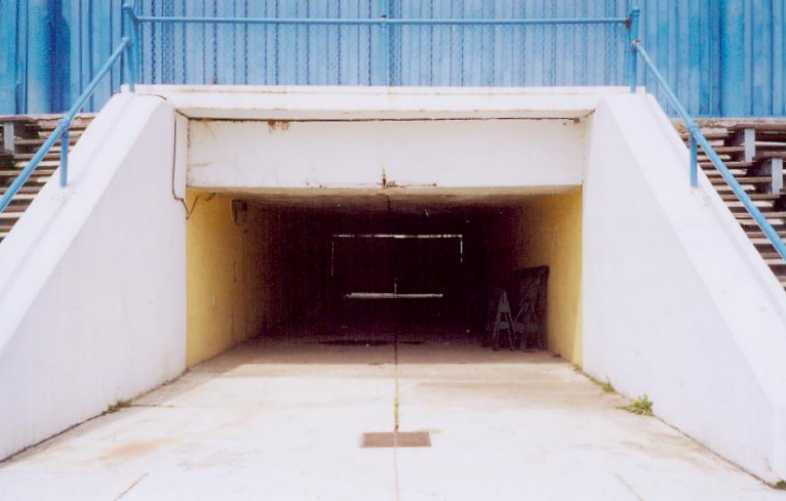 The other end of the tunnel exits to a park across the street from the stadium. 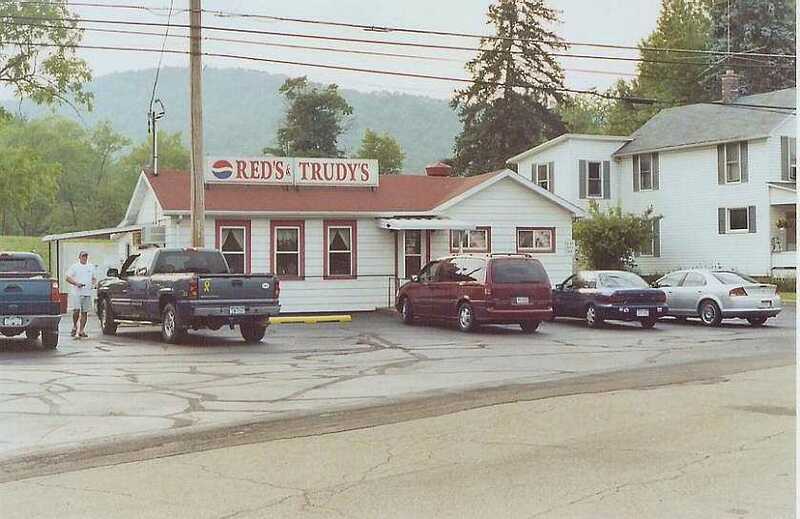 Red's and Trudy's diner in Portville. Written about in the New York Times. Well worth the trip!